From Give A Glimpse Of What Yer Not, out now on Jagjaguwar. 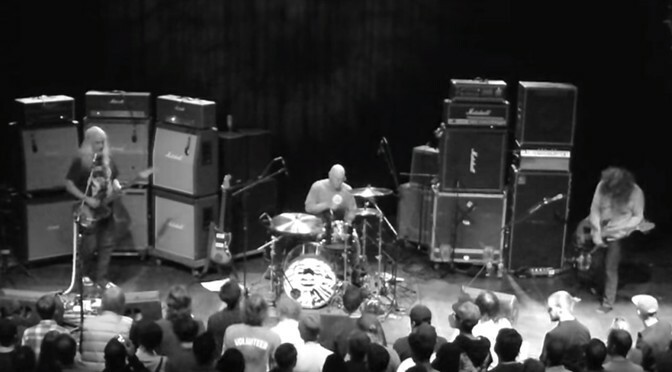 Anyway, I’m so thankful that J Mascis, Lou Barlow, and Murph continue to make loud rock and roll together. They’re the exception to the rule that band reunions all huff dongs. Dinosaur Jr is as good as ever. Dinosaur Jr plays Riot Fest at 6:35 PM on Sunday, September 17. Dinosaur Jr: web, twitter, amazon, apple, spotify, wiki.